2005 NCLEX pass rates for Oklahoma here! I would be curious to know how the 100% pass rate for Univ. of Okla. Tulsa campus was calculated. I was in that class and have not yet taken the test. We were also down to 24 in that class from the 27 with which we began- additionally one finshed a clinical in the summer of 2005 and another was not graduating, I understand. It was reported that 30 had taken the NCLEX from the class of 2005. 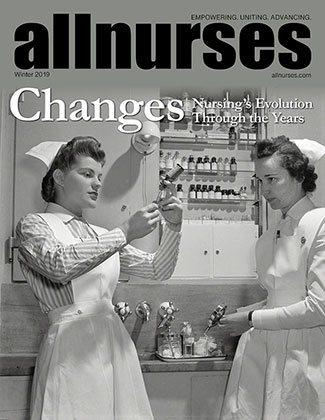 This program had many problems while I was there, and subsequently I do not recommend it to prospective nurses, (although I finished in the top ecchelon) without major changes in the curricula and added/ better faculty. Politics and fundraising was paramount at OUTulsa. With a new Dean Kenner and added monies for lab and equipment change may be on the horizon. There were also racial and religious problems for students attending at Tulsa, which will require deeper introspection on the part of administrators, students, and faculty. That 30 probably included students from all of the BSN options - accelerated, traditional and RN/LPN to BSN. Although I guess the RN-BSN students wouldn't have to retake NCLEX. That doesn't seem like very many taking the test when you figure in that many students. Thanks for posting that, Marilyn. I'm anxious to see it as I'm having trouble downloading it (my computer problem).